Servicing our residential and light commercial customers in the Greater Kansas City area for 50 Years, Midwest Heating Cooling & Plumbing is dedicated to our customers. Our trained and skilled technicians are ready to find a solution regarding your air conditioner and furnace needs. 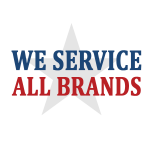 Repair all brands, makes and models. Whether it’s a sizzling summer day or the coldest day in winter, we know you appreciate and understand the value of maintaining your home comfort system. With bi-annual check-ups, they will keep your equipment operating at peak, trouble-free efficiency, extend the life of your system and improve safety. Two seasonal visits per year and Priority Customer Status! Trained technicians to perform service on your furnaces and air conditioners. 10% Discount on labor and parts (within terms of the agreement). Regular maintenance can help lower your utility costs and help spot potential problems before they cause trouble. Dirty equipment loses capacity and costs more to operate. Longer product life and safety. Call Midwest Heating Cooling and Plumbing today to sign up for an Air Defense Plan and give yourself the peace of mind knowing your system is properly maintained! Leaky faucet? Kitchen sink not draining? Out of hot water? Midwest Heating Cooling & Plumbing is available for residential plumbing service. Contact our office today at 816-943-8787 to schedule an appointment with one of our Master Plumbers.